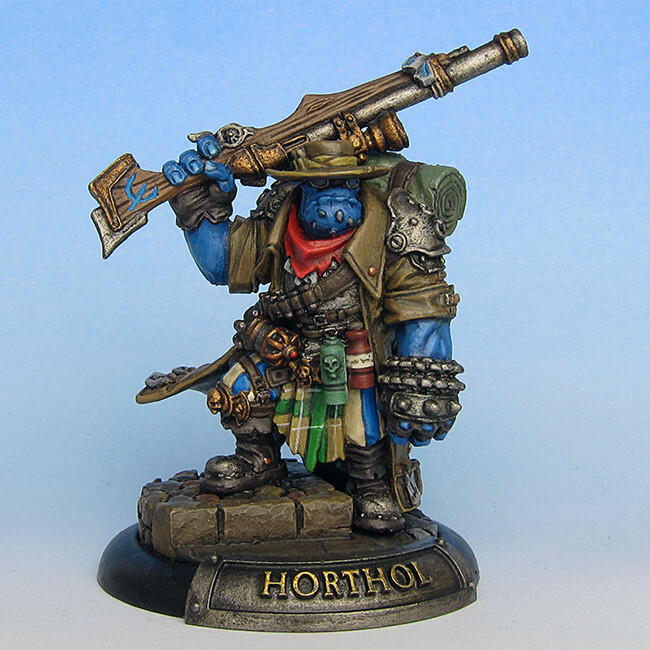 Our fourth player character – Horthol Moonclaw, a Trollkin Sniper who’s magic gift with the runelock rifle was discovered while serving in the cygnarian military. This entry was posted in New Minis and tagged Iron Kingdoms, Privateer Press, RPG by Grey. Bookmark the permalink.